Real fitness, as per Yoga, is not just physical strength and endurance, but is actually nerve strength and pranic (life-force/chi) capacity. In other words, how strong your nervous system is, how much current (Kundalini) can it handle and how well it holds up under stress, is how yoga measures your level of fitness and conditioning. So for the month of September, let us develop this key aspect of our being, so we can proclaim ourselves to be yoga fit. To do this, you will find below an excellent hatha yoga pose known to help develop nerve strength and an excellent yoga breathing exercise to expand your pranic capacity and build your entire nervous system. The yoga pose we will practice together is called Downward Facing Dog, while the breathing exercise is Anuloma Viloma pranayama. I will specify the variations to use for both these techniques, in order to extract the maximum nerve fitness from them that we can. These exercises will be the yoga techniques for the month of September and will be part of our yoga practice for the month series. For those who are new to the blog, each month we practice together particular yoga exercises and meditations, in order to enhance our skills and learn from each other. We share our experiences in the comments section below as well. So join us this month and move closer to being truly fit and formidable. Move closer to having nerves of steel . These techniques come from the following 2 free online e-books here on Mastery of Meditation and Yoga. These are the Free Online Kundalini Yoga Exercises E-book and the Free Online Yoga Breathing Exercises E-book. Feel free to check them out for more great exercises and meditation to keep you healthy, happy and fit. Below you will find all the exercises and meditations that we have practiced so far in this Yoga for the Month Series. Following that are the nerve and fitness building techniques for June. 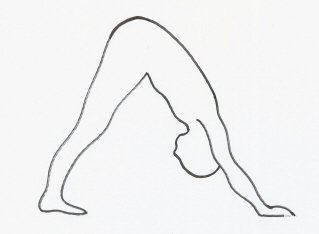 One of the most popular and common yoga technique is Yoga Mountain Pose or Downward Facing Dog. This exercise is excellent for a variety of reasons, not the least of which is it’s benefit to the nervous system. 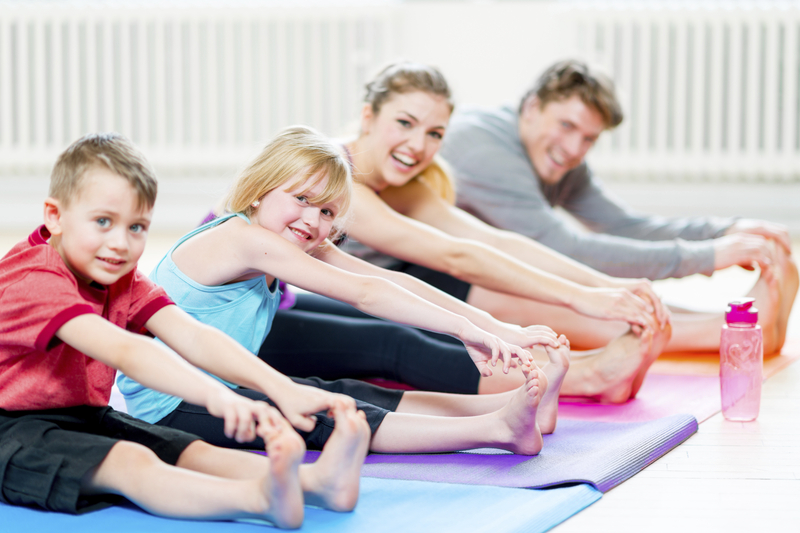 This pose is part of all schools of yoga, including Hatha Yoga and Kundalini Yoga. For our purposes I want you to practice this pose using powerful Breath of Fire. This will further increase the benefits of Downward Facing Dog for nerve fitness and Pranic Power. In addition, if your arms or legs tire, take a break, continue the Breath of Fire if you can and then come into the pose once again. You may repeat that several time if necessary. Here is the link to the full article for Downward Facing Dog – Hatha Yoga Pose for Nerve Fitness. In conjunction with Downward Facing Dog, I suggest you incorporate Anuloma Viloma Pranayama into your practice as well. This breathing exercise purifies, refines and strengthens your nervous system and increases your respiratory fitness. It gives you more prana and great internal balance. To maximize the pranic fitness you extract from this technique, I want you to try the 1:2 inhalation/exhalation ratio I have described in the article. So for every count of inhalation, extend the exhalation to double the length. So for 4 counts of inhalation, make the exhalation phase 8 counts. This elongated exhalation will expand your nervous system even more rapidly. Here is the link to the entire article on Anuloma Viloma Pranayama: Chakra Balancing Breathing Exercise. So for this month, let’s work together to get our internal systems fit and strong. Having a strong nervous system, means you can function with greater energy, vitality and composure. my head shaking last 20years contact verious Dr.but till now not stop my hrad shaking plese good suggestion sir. I had nervous system problem, and I was facing mood change, depression, Irritability. I practised this yoga for some days and I am feeling great these days ……… Really Yoga is great …….. Fitness and yoga exercise for nerve strength has many benefits.these benefits are experienced by doing yoga exercises you written in your article.Yoga change my view about life now am feel more comfortable and relaxed everyday.Thanks for giving perfect tips about yoga. It is good to go deeper into one’s practice with some of the advanced techniques listed here. I had the good fortune to make a film on a Yoga Swami in the Himalayas who did 4 hours of pranayama a day for many many years. I cannot get it, but while I was glancing over this blog post I missed the races….